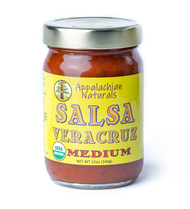 A spicier version of the Appalachian Naturals Wicked Mild, this salsa is: Sugar-free, vinegar free, low sodium, low fat, certified organic and locally grown. Neat! Product is gluten free but not from a certified facility.